"Some like tank or waistcoat (sleeveless) merino knits because they fit neatly under a blazer. Others need sleeves and choose from V- or crew necks. Whichever your case, a selection of smartly-colored merino knitwear is a failsafe investment. They’re temperature-regulating, so you don’t need to wait for a specific season to sport them. Choose your collar and your colors." 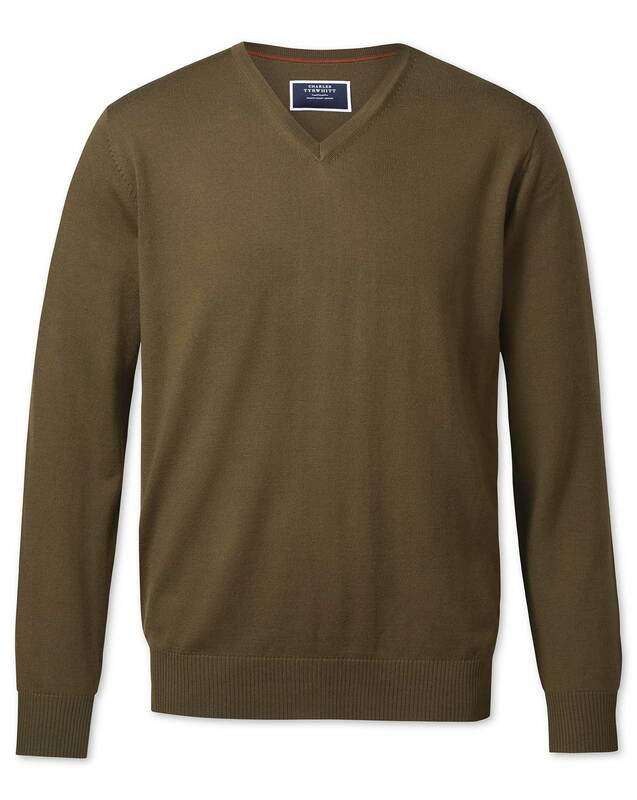 "100% merino wool knitted sweater; ideal for layering for year-round style." Response from Charles Tyrwhitt: It's ever such a shame you haven't been completely pleased with your most recent purchases from us, but we appreciate your feedback nonetheless. We'll be sure to take this on board and rest assured, we are always tweaking and improving the fit of our products to make them the very best they can be for all customers around the world. Please do feel free to return your items to us if you wish - www.ctshirts.com/rebound.